The Akwatyx console DOLPHYN® is a product patented by VIRTUALDIVE. 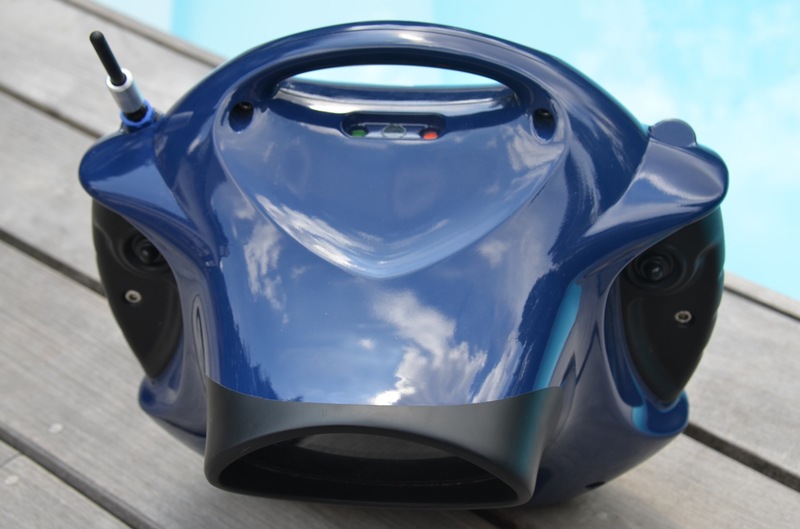 It is the first worldwide mobile aquatic console with cutting edge technology, integrating a camcorder and a video gaming console. It integrates a 10,1 inch tablet PC, a Wi-Fi antenna, a GPS, a HD webcam, joysticks as well as other types of sensors. Aquatic and digital environments are merged and therefore, constitutes a unique immersive universe. The advent of Geographic Information Systems (GIS), underwater devices, Internet of Things and Augmented Reality offer new opportunities to discover the oceans in an interactive and fun way or simulate underwater multi-sensory exploration in the heart of swimming pools. PC: Allows to access to embedded softwares, apps and contents and to online services when the console is connected through Wi-Fi or 3G/4G. The 10 inch screen located at the rear of a dedicated black chamber, allows to have a large and clear view of the displayed information. HD camera: Allows to film and take pictures of underwater scenes and, if connected, to broadcast live trough the internet. Wi-Fi antenna: Allows to share the underwater exploration through the web. 3G/4G keys can also be installed if no local Wi-Fi hot spot is not available. GPS: Allows to be positioned in the aquatic environment, to geo-localise pictures and videos and also to trigger geo-positionned Augmented Reality information when getting nearby a pre-defined Point Of Interest (POI). Transducer: Allows to listen sound, music or audio and to hear comments from other users or connected people.